When we visit my in-laws in Ipoh, Malaysia, my mother-in-law (who is an excellent cook) will braise Nam Yu Duck with Wood Ear Fungus and Leeks for our dinner. 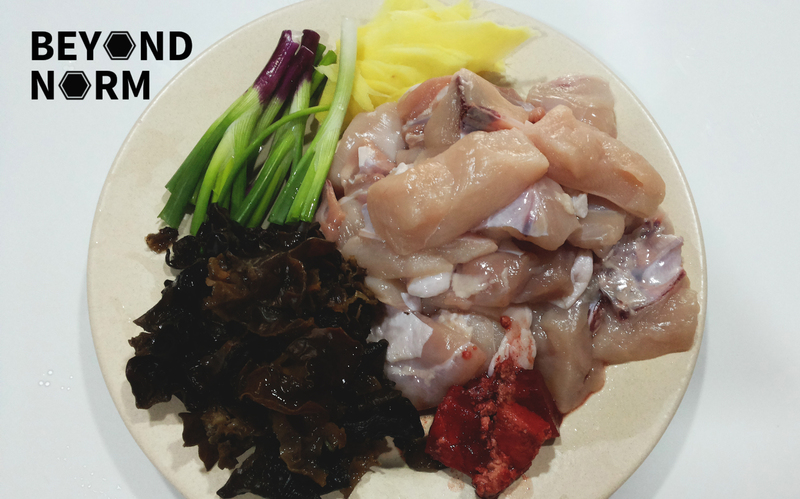 I have not savoured this delicious and flavourful dish since we moved back to Singapore. Recently as I was chatting with one of our friends, she mentioned that she preferred chicken to duck and I was inspired to experiment with chicken and since all the leeks were sold out because of the Chinese New Year season, I replaced leeks with spring onions. The outcome? I am so glad that it was as tasty as duck!!! 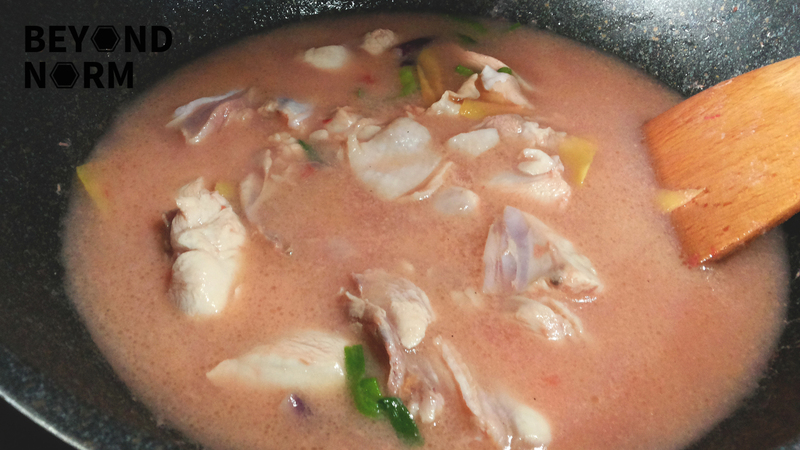 Blanch chicken in boiling water for 30 seconds. Drain and set aside. Soak the fungus in water till soft. Once the fungus has softened, rinse off any sand/grit. Cut the fungus into bite size pieces and remove and discard tough ends. Rinse again to ensure that all impurities are removed. Drain and set aside. 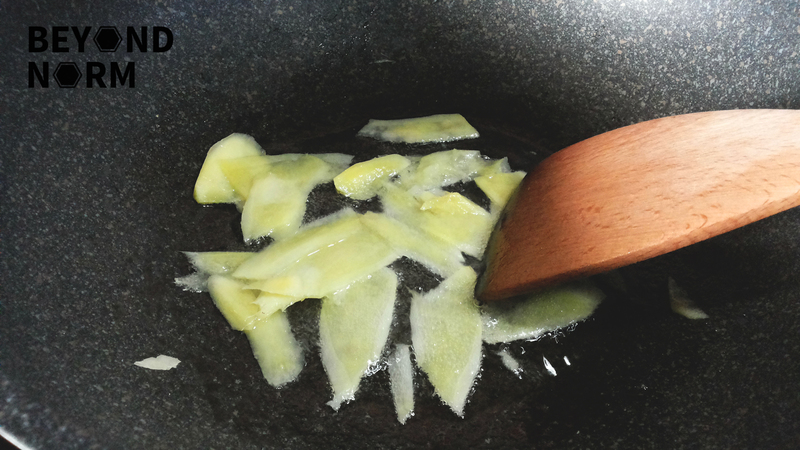 In a wok, heat up the oil over low heat. 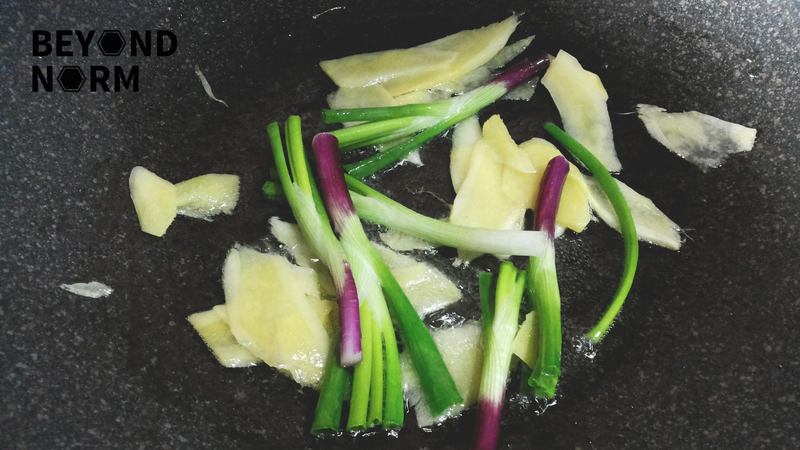 Add in the white part of the spring onions and sauté till fragrant. 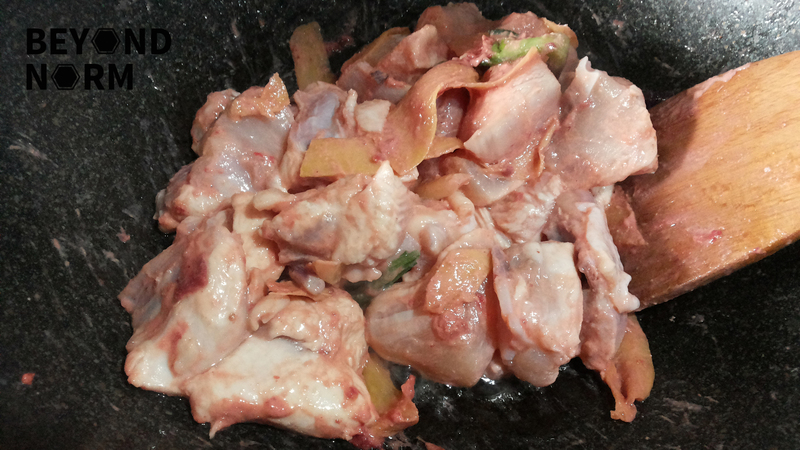 Stir in the mashed red fermented bean curd (Nam Yu) with its prickling sauce. Add in the chicken and ensure all the pieces are well coated with the Nam Yu for a few minutes. Add enough water to barely cover the chicken and bring it to boil. Then lower the heat to braise the chicken for about 15 minutes. Top up the water when it is necessary. Stir in the fungus and braise for another 15 minutes. When ready, taste and adjust the amount of sugar and salt to taste. Dish out and garnish with spring onions. 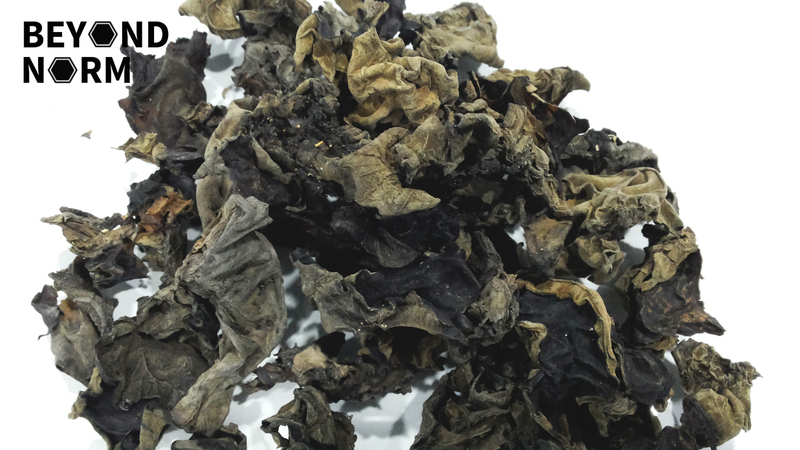 thanks for the lovely recipe of the black fungus chicken,just to clarify how do i get the pickling sauce?. I am frim sydney. Where can I get the pickling sauce? Do you have a pic pls?